I love salmon. It’s such a lean, tasty protein, that can be used in so many different ways. 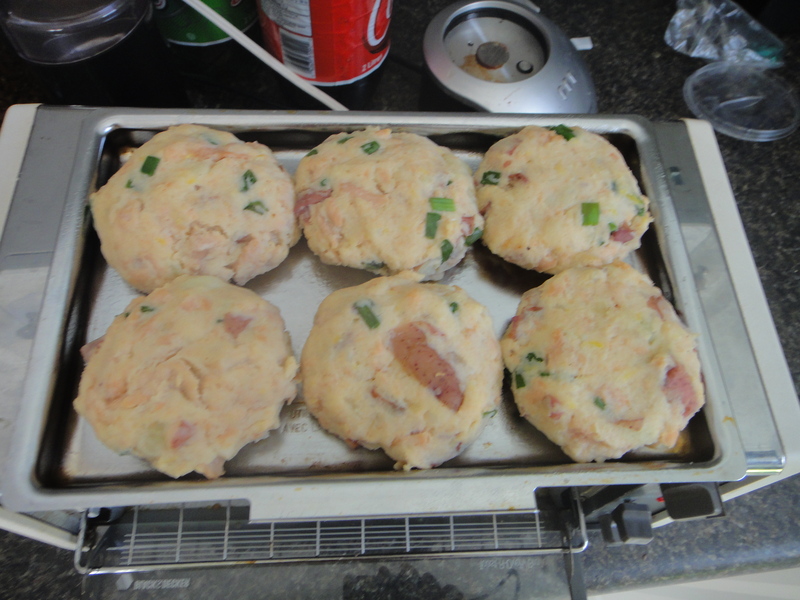 Today’s variation is in the form of a fish cake. 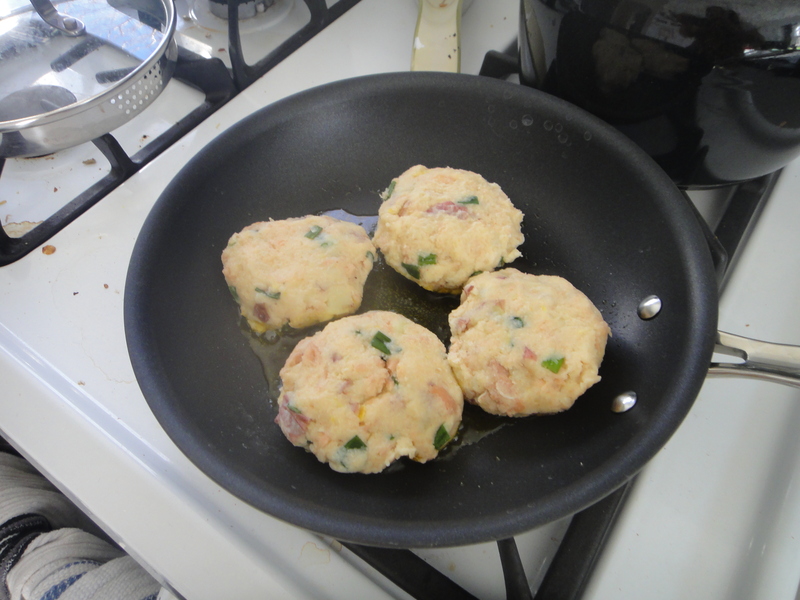 Hmmm, fish cakes! 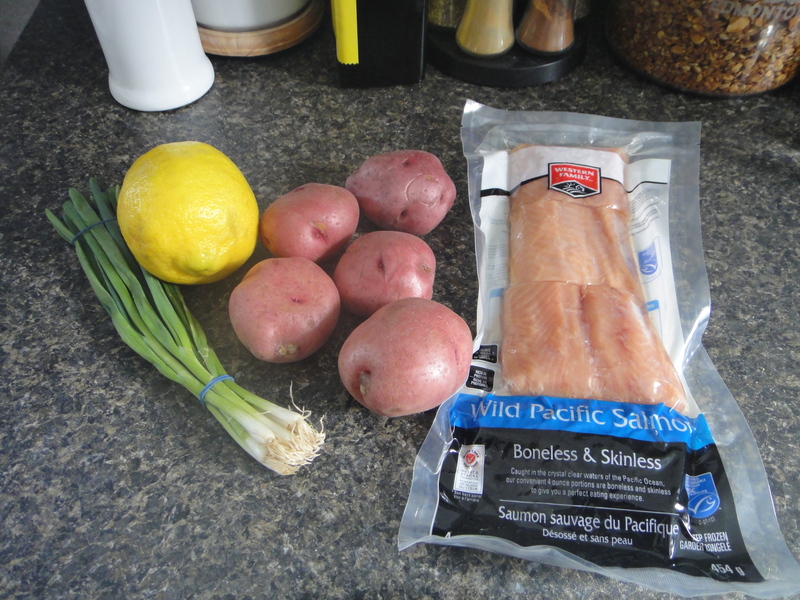 This recipe asked for potatoes in the fish cakes. I’ve never seen a recipe like this before, and I’m always wiling and ready to try something new! 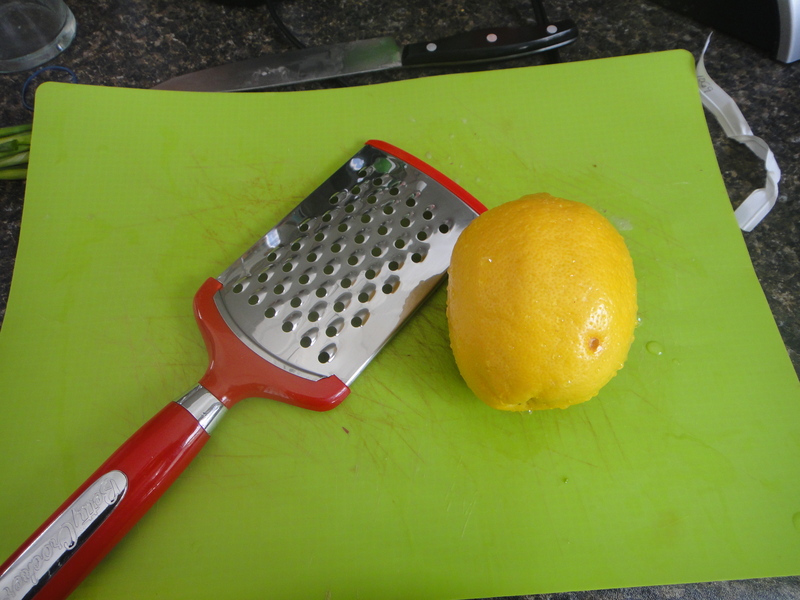 The recipe called for lemon zest and added a nice, bright flavour note to the cakes. 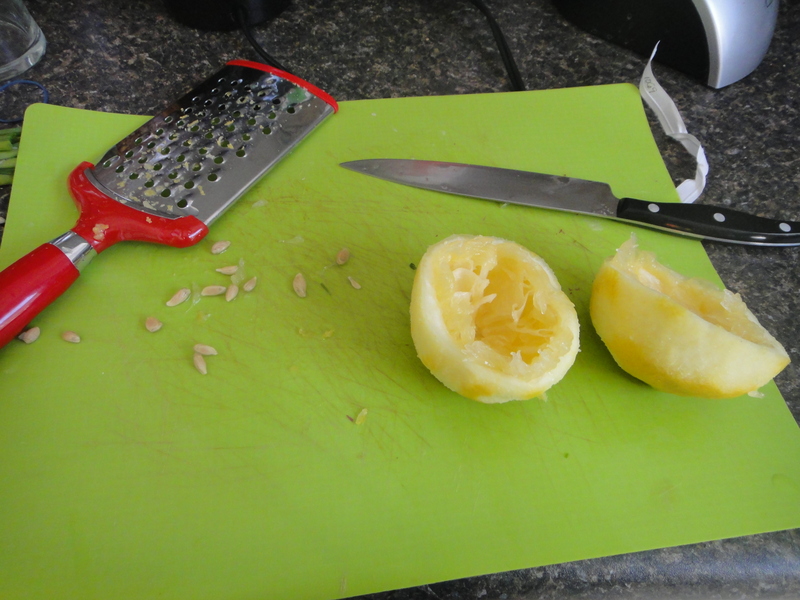 Lemons always look so interesting once they’ve been zested: Like they’ve been stripped of their clothing! I chopped up some green onion stalks and added them to the mix. 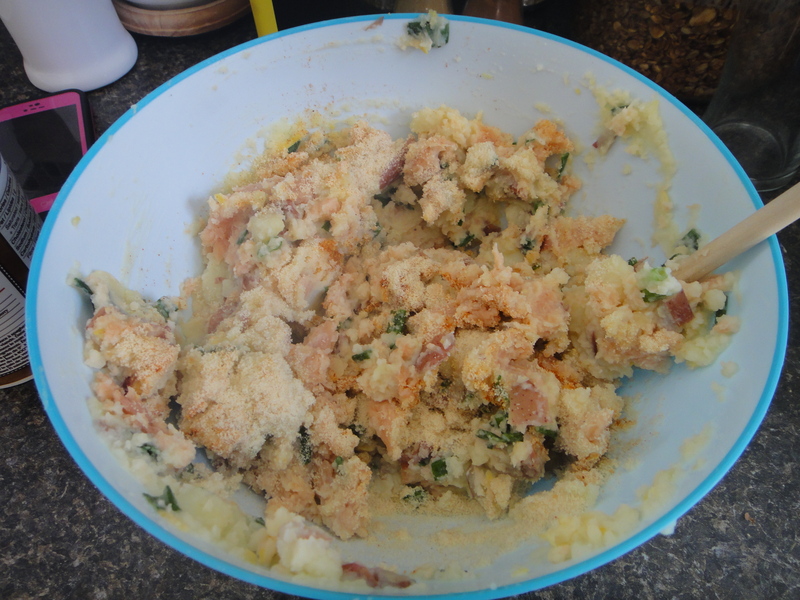 Once the potatoes were boiled, it was time to add them too and mash it all up. Or you can brush them with oil and bake them in the oven. Here they are, all crispy and golden. 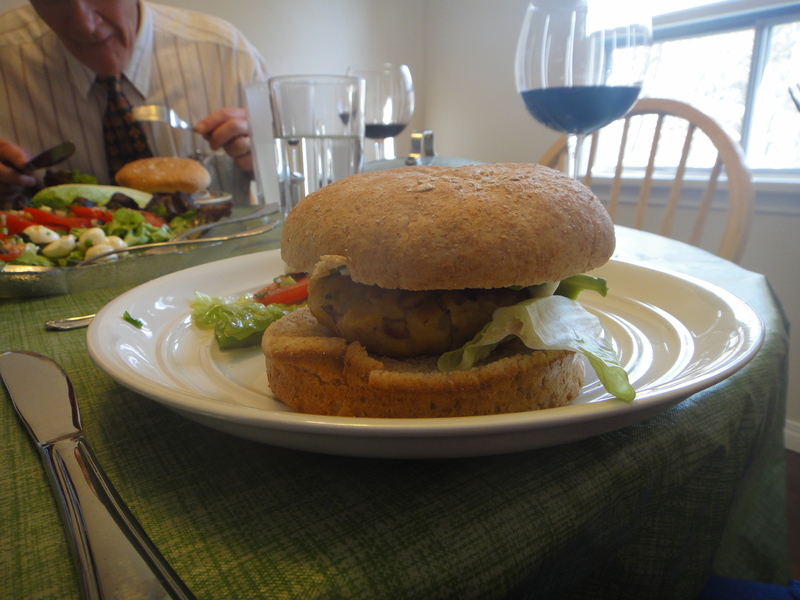 Serve either by itself, or on a bun, slathered in tzatziki! Begin by chopping up your potatoes and bringing them to a boil. Next, chop the green onion stalks and throw them in a big bowl. 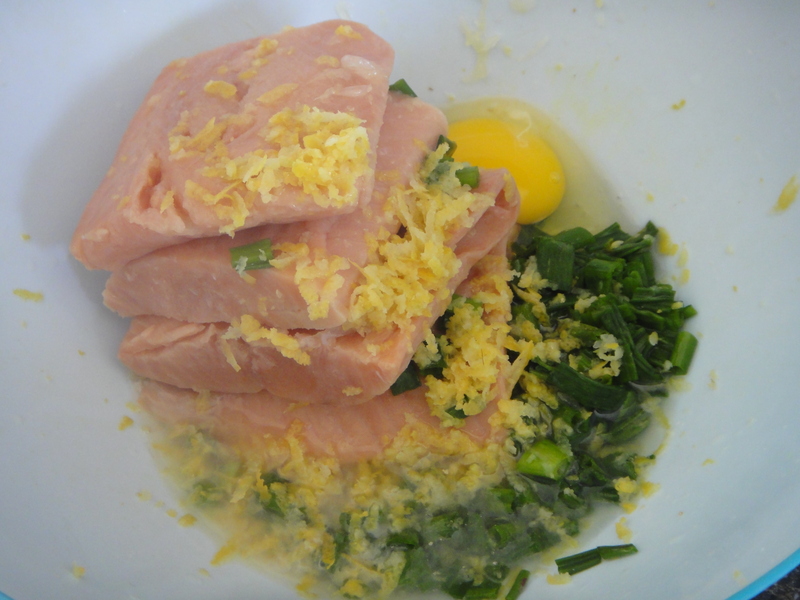 Chop up the salmon filets, zest and juice your lemon and add to onions, then add egg. 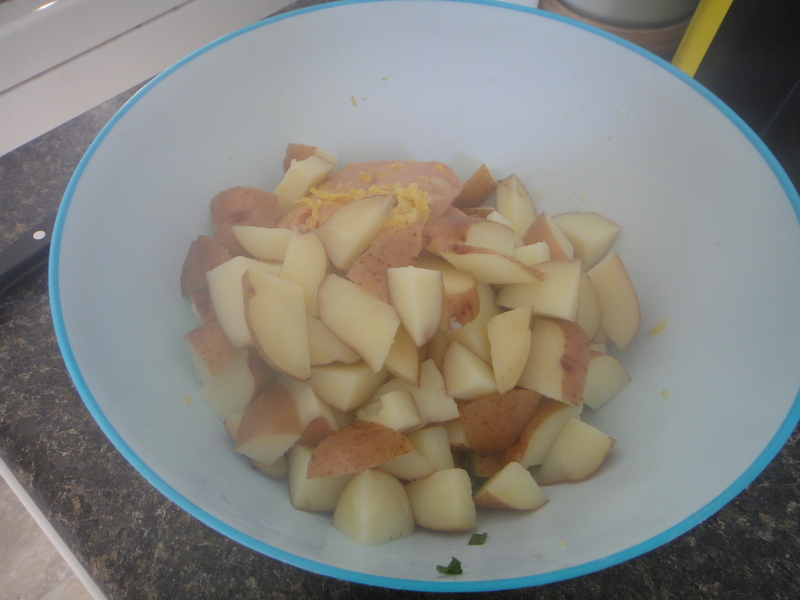 Once potatoes are done, add to the bowl, season and stir well to combine. Form into patties, and if baking in the oven, brush with canola of olive oil and bake at 400 until crispy and golden brown, turning once (about 20-30 mins). If frying, heat 2 tbsp canola oil in a pan and even cook both sides of the cakes. Serve on a bun with with your favourite toppings, or by itself, smothered in tzatziki. Enjoy! 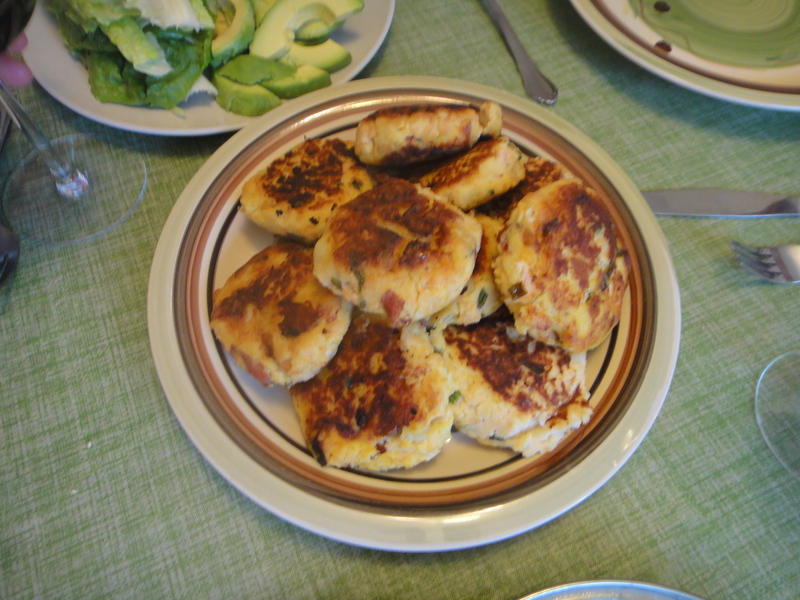 Fish cakes are traditionally made with potato on the east coast, usually with salt cod.